There is no question that Americans love their pets. In most instances, they would not think of taking a road trip or weekend vacation where their furry “family members” were left behind. Most campground owners have capitalized nicely upon this trend, making their parks more pet-friendly than ever. Campground dog parks have become very popular (in many instances with two parks, one for smaller and one for larger breeds), waste stations and litter bags are commonplace, and many parks are installing dog-wash stations. Entire businesses, such as Dogipot, have been built around the combination of pets and parks, while other suppliers have added pet-related items to their product lines. According to the American Pet Products Association, U.S. pet owners spent over $66 billion on their pets in 2016, with those same expenditures expected to approach $70 billion in 2017. Not only do they want to take their pets with them just about everywhere, they are not hesitant to pay for that privilege. Campgrounds, resorts, bed and breakfasts, and even luxury hotels are attempting to find ways to increase their share of this lucrative market. With luxury hotels embracing the demands of the market, most campgrounds remain somewhat more cautious and hesitant to allow pets in their cabins, cottages, yurts, park models, and other rental units. Just this past week, one of my campground clients asked for my thoughts on whether or not she should allow pets in her new glamping tents and, if so, she was wondering about a waiver and how to handle security deposits. I suggested that she touch bases with her insurance provider, but it became clear to me that some guidelines might be needed. One of the first things to bear in mind is that it is important that you avoid alienating guests who do not own pets in your efforts to reach out to pet owners. When I booked a reservation for several nights at a luxury hotel in Colorado ski country this past winter, the property’s website indicated that it was pet-friendly and included a prominent photo of a St. Bernard lying on the bed in a guest room. I almost booked my stay elsewhere, prior to being assured that I would be staying in a pet-free room. Back to my client with the new glamping tents, how can a park owner make these decisions in a deliberate and informed manner? First of all, decide whether potential damage is a risk that you are willing to incur, keeping in mind that those instances are likely to be fairly infrequent. In those instances where damage might occur, both the repair costs and the lost revenue during the time of the repair must both be taken into consideration. What if a unit has been reserved by a subsequent guest during the repair timeframe? What if that unit is unique or it is a time of year when a suitable substitute is unavailable? It is probably due to questions like these that most parks tend to limit their pet-friendly accommodations to older units or rentals that would not otherwise realize full occupancy. One way or another, you must be covered against even the remote potentiality of losses due to damage. Usually these risks are covered by either deposits or fees that are outlined in a signed agreement. Have your attorney check to see if your state allows you to collect pet deposits or fees, whether or not there is a limitation on those fees, and whether or not you are allowed to restrict animals according to breed or size. Keep in mind that you will NEVER be allowed to apply any charges to designated service or companion animals. This latter issue is an entirely separate problem. My Google search for “how to make your pet a companion animal” just returned 17,600,000 results, including explanations of how any pet can be fraudulently designated as a service dog for a $50.00 fee. Subject to any limitations in your state, a “pet fee” is simply an added charge for a pet. Similar to charging fees for extra persons or visitors, these pet fees may be higher for rental units than for conventional campsites. Such fees do not cover damages, and the fees are not refundable. You might think of them as a type of self-insurance. 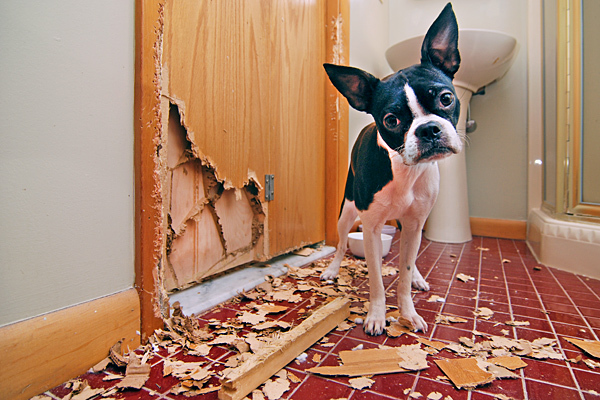 On the other hand, a “pet deposit” must be refunded upon inspection and confirmation that no damage has occurred. If damage is found, you will be responsible for providing an itemization that will justify keeping all of part of the deposit. Since it might be impractical to perform immediate and thorough inspections at the time of check-out, your agreement should outline the timeframe and manner for return of the deposit. Also keep in mind when setting your deposit that it will be very difficult to collect damages that exceed the amount of the deposit itself. Unless you are prohibited from doing so by your state laws, there is no reason why you cannot collect BOTH a non-refundable pet fee and a refundable pet deposit. Clearly identify the pet(s) that are covered by the agreement. Clearly outline the liability for damages. These will include damage to your property, damage to the property of other guests, personal injuries, and the costs of cleaning and repairs both inside and outside of the rental unit. A clearly delineated outline of the associated fees. A series of pet agreements, some of which are designed for landlords and tenants but easily modified for campgrounds and related properties, may be downloaded on the Sample Forms website. I would suggest finding one of these that appears to be a good fit for your business, customizing it to your specific needs, and then doing your best to capitalize upon this growing market.